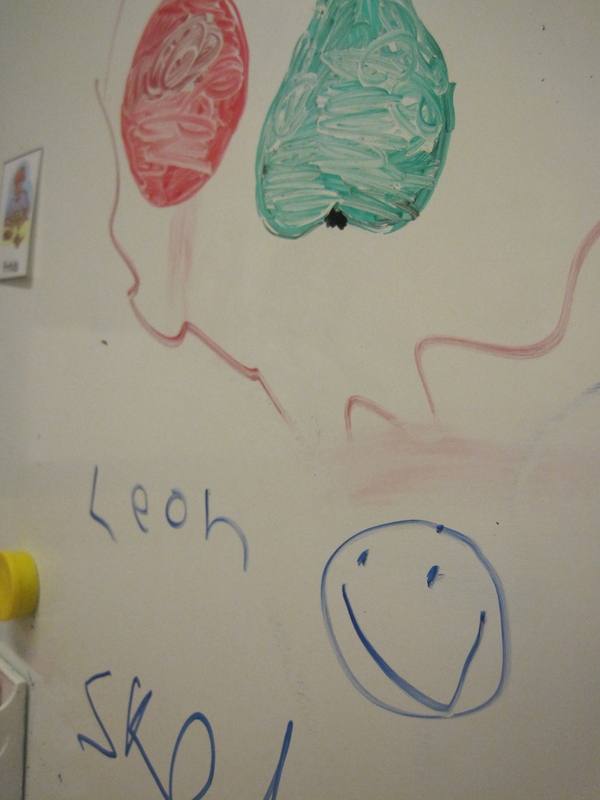 Finally, the summer holidays have arrived, and Leon has completed his final day of year 2. The morning was filled with singing from the children, many of the songs made up by the outstandingly talented music teacher Kjelle, the eating of strawberry cake in the classrooms, and the saying goodbye to the wonderful teachers. We said goodbye to leon’s lovely teacher Nina, who has proven to be a very kind, understanding and inspirational teacher – as well as amazingly calm! No doubt Leon will meet Nina in the future (she is moving up with the year 3 kids), but next year we welcome Petra as his new teacher. 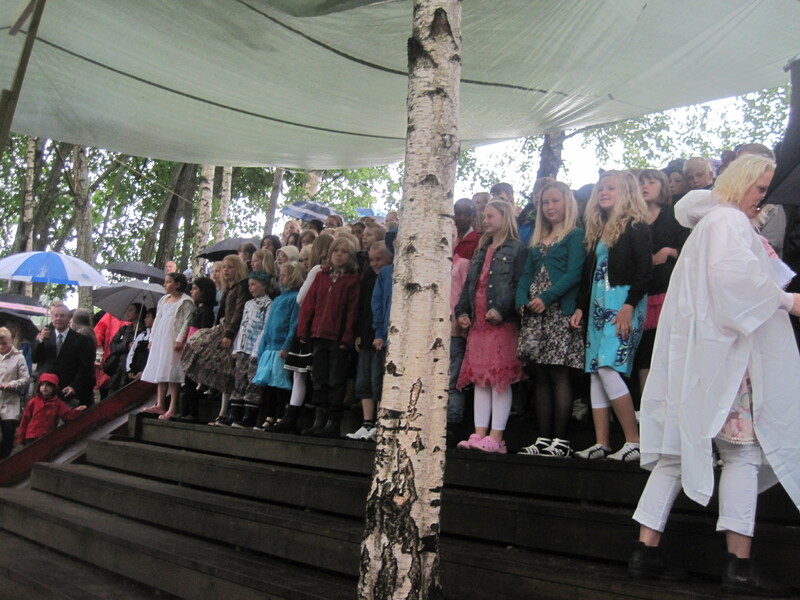 Half the school ready to sing (Leon in the red jacket) - the rest of the school came in singing a fantastic song - and the rain didn't stop them! A bottle of champagne for Nina. Who's name is that on the board?! 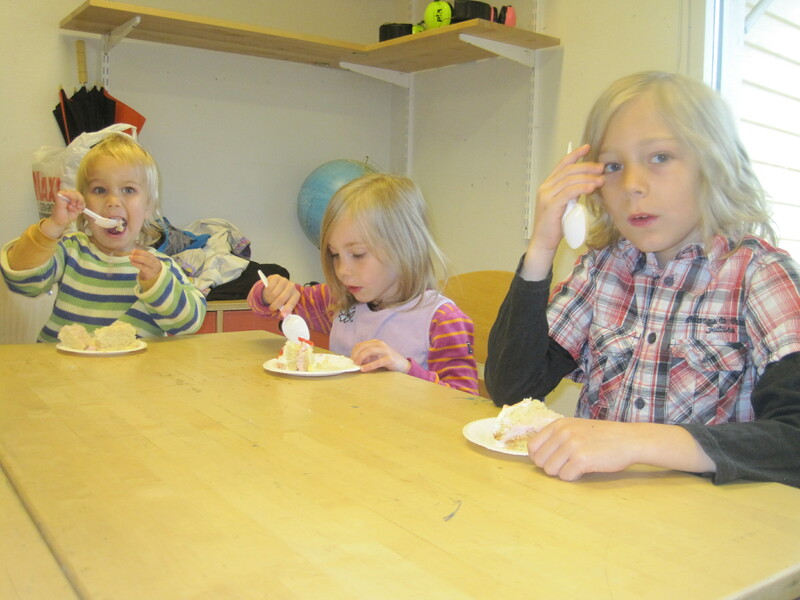 This is Leon’s fourth ‘institution’ he has attended in his little life – a brief attendance at a half-dead play group in London, a year’s attendance at a money making uninspiring preschool in California, and a couple of years at a state school with what turned out to be the most dismal teacher I have ever met, here in Sweden. Not being a huge fan of school, we have finally found the best school in the world. We can’t really fault it. The teachers are extremely professional and kind, the activities are fun and interesting, and the children are very well disciplined. 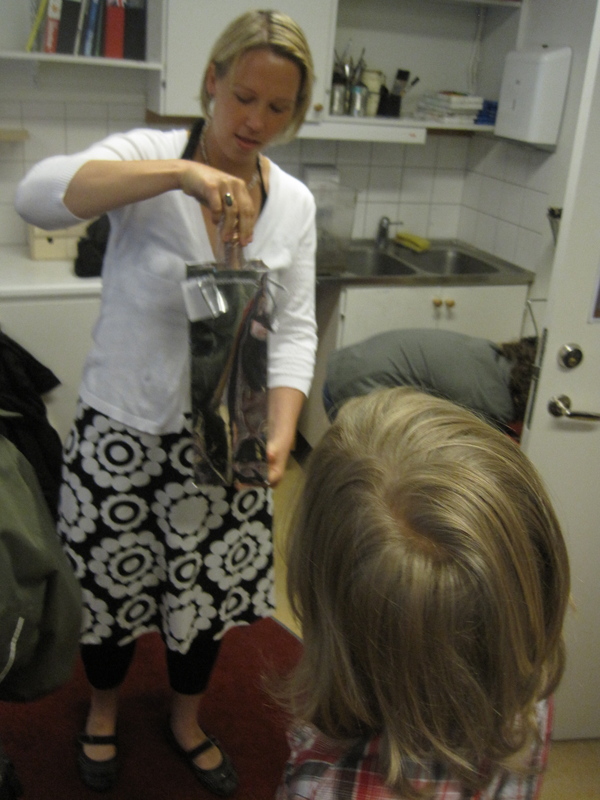 Thank goodness for ******* Skolan! Posted in Celebrations, Everyday things..